Join acclaimed Ukrainian yoga master Andrey Lappa for an “exclusive four-part intensive workshop training” on the Tantric meditation tradition of the Himalayan yogis. This first training explores the concepts of Raja Yoga as a foundation for understanding Tantric meditation. Tantric Meditation Practices is a four-part intensive training workshop that introduces the purpose and methods of the Tantric Yoga traditions of the Himalayas, including both the Hindu and Tibetan Buddhist lineages. Training 4: Vajrasattva. The final training in the series presents the Tantric practice of Vajrasattva as a powerful means of transforming negative karma into positive karma. Deity visualization and mantra meditation are again the powerful transformative methods of this practice. When you take an online course at Pranamaya, you get the benefit of being taught by some of the most renowned master practitioners in the world, and when it comes to our four-part workshop on the Tantric meditation tradition of various Himalayan yogis, you’ll have the pleasure of working with a true master: Andrey Lappa. The first training session in the series focuses on Raja Yoga meditation, and here you will learn many of the concepts that lay a solid foundation for understanding Tantric meditation as a whole. Not only will Raja Yoga prepare you for the other training sessions in this series, including Vajrayogini, Vajrasattva, and the importance of tantric symbolism, but it will also teach you about the stages of controlling consciousness that one must go through in order to achieve the state of Samadhi. Samadhi, or what is also commonly known as meditative absorption, is the state one enters into when their mind becomes completely still or fixated on an object, yet their awareness is still intact. As some interpret it, Samadhi is equivalent to Enlightenment, or the epitome of divine consciousness. Knowledge is the key to success, and our Tantric Raja Yoga meditation training will teach you what you need to know in order to start your path toward transformation. Start your training today with our intensive Tantric Meditation Exploration of Raja Yoga online course—you never know what Raja Yoga meditation will help you achieve! 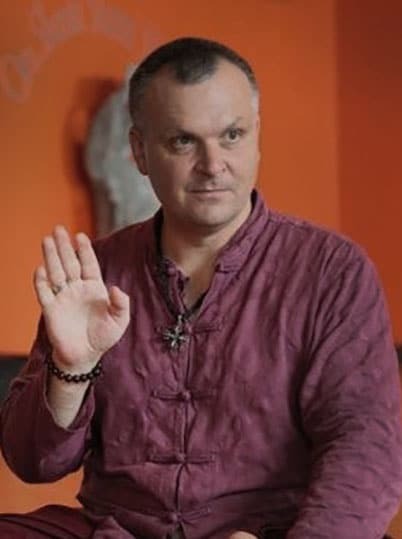 TANTRIC MEDITATION EXPLORATION OF RAJA YOGA with Andrey Lappa.